There seems to be at least one construction project going on in my neighborhood at any time. That’s Tokyo. Buildings disappear and new ones come up constantly, all within a couple months. 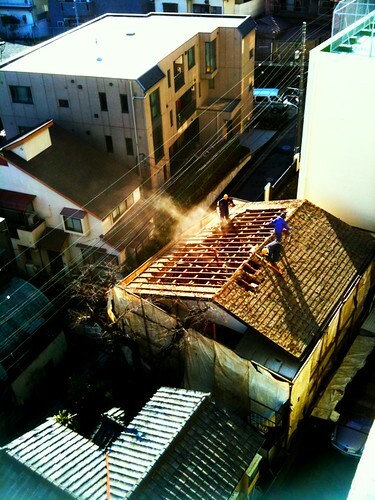 Last year an old wooden house was demolished to make way for a new building. This one happened to be right in front of my apartment building so I took pictures of it through the whole process.